Jonathan & Amy: Snow Day Cooking! We got a major snowstorm this past weekend. This is kinda funny, just because each of the times it has snowed so far have taken place over a weekend. It snowed for about 18 hours, and we got 18 or 20 inches. 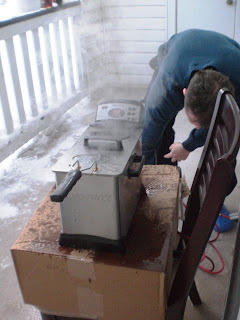 So, we pretty much committed Saturday to cooking. 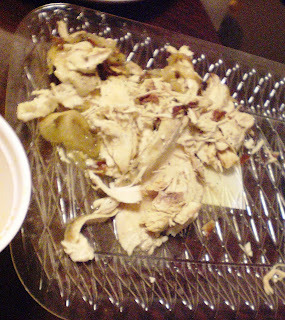 I started off with a turkey breast in the crockpot. I had gotten a free 7.5 pound turkey breast from the grocery store in November, and it has been sitting in the freezer until this past week. It was a pretty easy recipe (as most for the crockpot are, LoL), and was done in about 7 hours. I was surprised with how juicy it turned out, and we'll have TONS of delightful leftovers this week. (I couldn't wait to try some and take a pic, so as soon as there was enough on the plate to photograph, I did, haha) After the turkey was in, I made mashed potatoes because they needed to cool to room temperature to go in the potato bread. 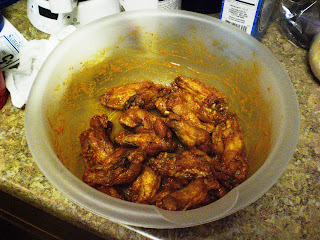 Meanwhile, Jonathan started in on the chicken wings. 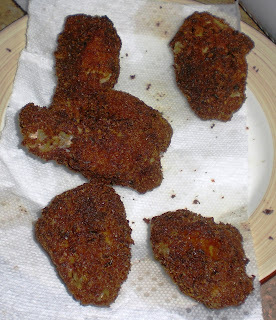 He did most of them regular buffalo flavor, but he made nine breaded ones with cajun seasoning for me, and they were awesome! He liked his, too. Then, I got to use my mandoline to slice up potatoes for chips and french fries. 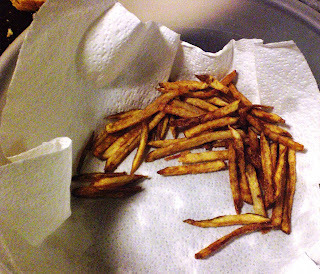 The potato chips (which managed to elude a photo) turned out delicious as always (cajun flavor), and the french fries (onion flavor) were just okay. 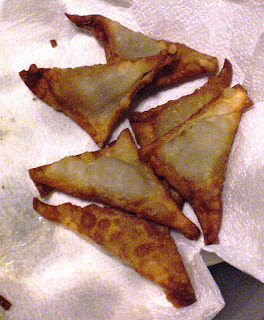 It was our first try at them, and even though I used the thickest setting, they were very thin and floppy after they were fried. Maybe if we try fries again, we'll do them like wedges instead. 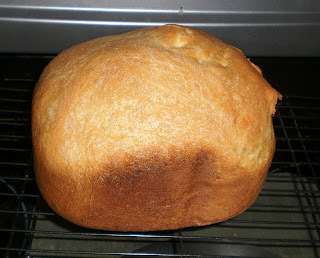 The bread machine whipped up some really good potato bread in about three hours. It turned out to be great that night, but it dried out a lot sooner than the other breads I've made so far (I did a french bread and an Italian cheese bread last month), which is good to know. We almost forgot to do the beef wontons! I was a little skeptical, since it wasn't our normal wonton wrapping (but then again, we haven't done wontons in at least a year, so they might have just discontinued/updated our "usual" wrapping), but they turned out really well. I think it was because Jonathan used steak seasoning this time instead of adobo. I have to hand it to him... when he wants to be creative, Jonathan can come up with the neatest ideas. He thought it would be cool to make sno-cones out of real snow. 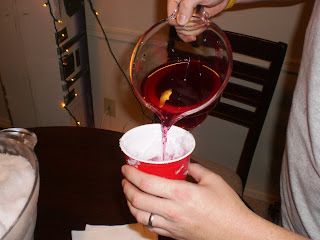 So, he came up with a way to collect clean snow, and then we went on a hunt at two grocery stores to find something that would work as syrup (we went with that frozen juice concentrate, in the fruit punch flavor). 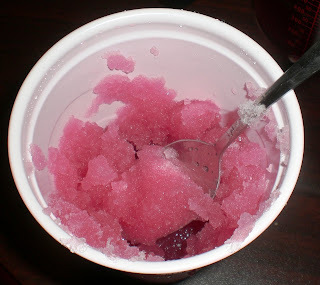 For dessert, we mixed it up and had an Italian ice-style snack... yum.